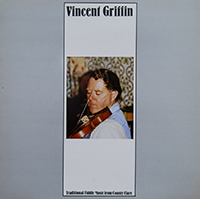 A chance meeting with the Boys of the Lough in California led to Vincent Griffin making his first solo record in 1977. His playing has plenty of character and his repertoire is full of grand fiddle tunes. On tracks marked * Vincent is accompanied on piano and ** on harp by Geraldine Carrig.